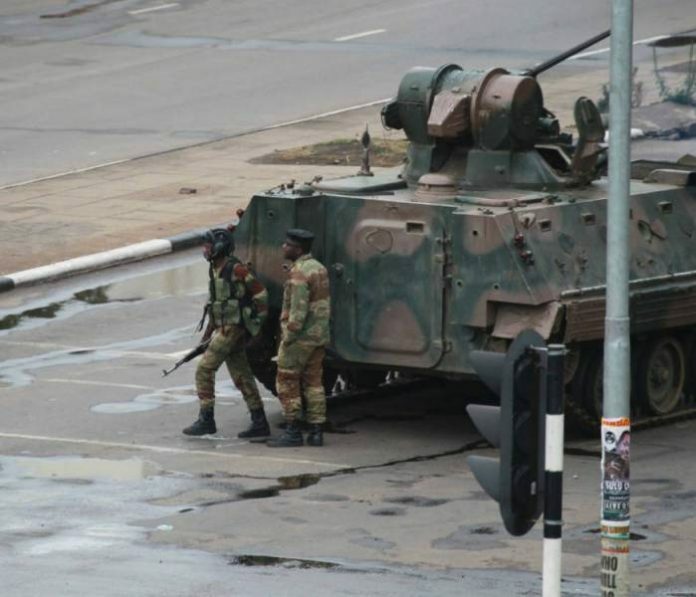 Zimbabwe soldiers and police were on the streets of Harare on Thursday as authorities came under increasing pressure to release results of the presidential election after a deadly crackdown on protesters. The country’s landmark election – the first since veteran autocrat Robert Mugabe was ousted last year – turned bloody on Wednesday when troops opened fire on demonstrations against alleged electoral fraud, leaving three people dead. The government blamed the Movement for Democratic Change (MDC) opposition party for inciting the unrest and vowed to enforce a security crackdown. Elsewhere markets were open and queues formed outside banks – a common sight in Zimbabwe due to the country’s chronic shortage of banknotes. The presidential election race pits Mnangagwa, Mugabe’s former ally in Zanu-PF, against opposition leader Nelson Chamisa of the MDC. “On many occasions – preparation, financing, media and hopefully not in the counting – it was advantageous for the ruling party,” EU chief observer Elmar Brok told AFP. ZEC chairperson Priscilla Chigumba, a high court judge, has flatly denied allegations of bias and rejected accusations of rigging. If no presidential candidate wins at least 50% of the ballots cast in the first round, a run-off vote is scheduled for September 8.